One of our best selling v-necks! 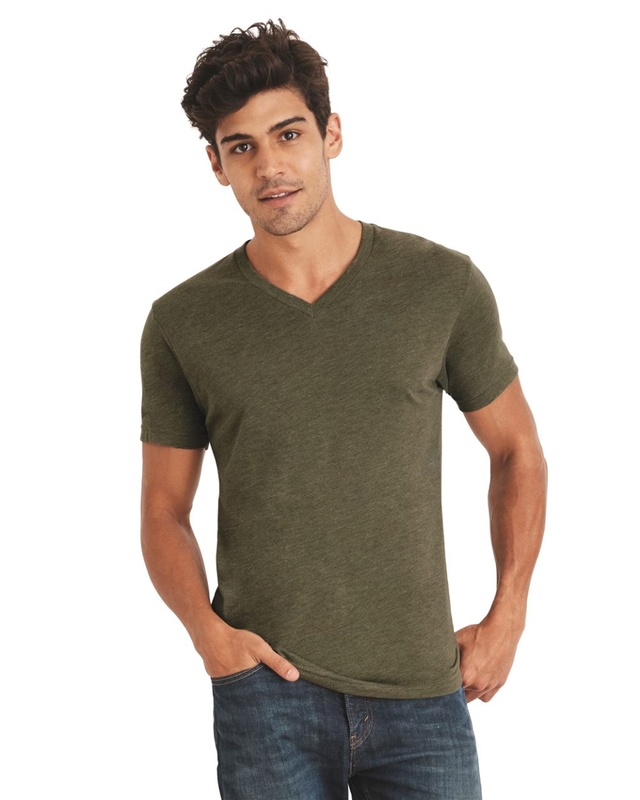 This fashion fit men's tee is flattering and soft to the touch. Made with 4.2oz 50% Poly 25% Cotton 25% Rayon, it has a satin label and a rib knit collar. This tee is perfect for every occasion and produces supreme screen printing results! See the femanine women's Next Level 6740 version here!